City in Brief: Regina is the capital of Saskatchewan and the second most populous city in the province. 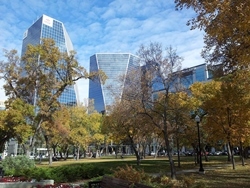 It serves as a cultural and commercial hub for Southern Saskatchewan and has been named as one of the most affordable places to do business in Western North America on several occasions. It is also the sunniest capital in Canada.